After working a lot of overtime in the corporate world, throwing out my back on a regular basis at 20 years old, and having an unhealthy relationship with “dieting,” I looked to start building a life for myself. In the process, and through very slow progressions, I made many changes. Many people supported me during that time and they still do, which is my motivation for helping anyone who wants to regain comfort in their own body through my work as a personal trainer. I train clients for strength-based goals because amidst all the self-doubt and negative rumblings that can affect our attitudes, a relatively heavy lift is a single task you can succeed at performing. That success is worth repeating, acknowledging and savoring, and eventually, the practice becomes an achievable promise to take care of yourself. In addition to my work as a personal trainer, I am also invested in my community and I currently volunteer at the Lake View East Food Pantry. Formerly, I was a volunteer for the Red Cross in New York. I am now in the process of applying to train and eventually be certified as a volunteer Domestic Violence Counselor. Many of my clients come with extreme body image issues, body dysmorphia, emotional breathing issues, and panic posture. In the training community, many people often blame computers and sitting for the posture imbalances we see, but I know that there is also an emotional component to the way we carry and live within our bodies. Many times, by simply asking important questions about their history or experiences, my clients will shared with me about past or present family or spousal abuse. At times, this can be deeply heart-breaking because they don’t feel they have options to address what is happening in these relationships. I have created an environment where my clients feel safe to disclose if they choose to, and I am gaining more and more resources to provide them with additional support. Simultaneously, through our work together, I am continually instilling a sense of growing confidence in my clients’ and supporting their innate ability to feel and experience their own strength – physical and emotional. Strength training is confronting resistance outside of yourself and relying on correct inner form and attitude to assist you in challenging situations. This work translates outside of the gym, into how you approach and engage with the world around you. I like to share this physically-oriented practice as an alternate tool for those who may not be ready, or particularly interested, in jumping into the spiritual aspect of their healing at first. Some people find and experience spiritual healing by beginning with the physical practice which opens something else up for them, and vice versa. You can think of this approach as Zen weightlifting. I utilize Kettlebells, Bodyweight, barbells, and other corrective exercise. Each tool has its own “bang for your buck” value. In combination, they serve as a targeted way to specifically program someone’s goal, or rather, to help unlock their ultimate achievement. The first session with me is completely client driven, it is about their energy and their comfort level. It is most beneficial if I can gather some “movement data” to inform the programming I will suggest for you. This consists of a chat discussing any medical issues or concerns, a Functional Movement Screen (FMS) which serves as our baseline of do and maybe don’t do movements, and then ends with a realistic goal setting timeline. 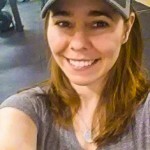 Here is a blog about one woman’s experience about working with a personal trainer and in it she vividly describes what our introduction session will look like. I am sensitive to the issue of sexual violence in my teaching and cueing, while also not allowing the past to negatively impact or interfere with my client’s training goals. As much as strength training is total body, it is also a mental game of “Here is what is within my ability and here is a realistic achievement for this amount of time.” I empower my clients to create more balance between body and brain so they stop working against each other and instead, can work together to support my clients’ overall wellness. I am also committed to making the gym a safe haven for people. I currently train people primarily in private spaces, homes or small facilities where they can work on self-awareness, gaining skills and control. I think that private instruction may eventually empower people to feel more confident in exploring a gym setting at a future time. Weight lifting, strength training and working out can address a variety of traumatic responses including and panic, constant fear of attack, and lack of trust. The programs that use horses to help abused kids regain trust? Yeah, we can’t have horses in the middle of the city, so my clients develop a relationship with the equipment and my voice. As they practice with me, they will get stronger. The simple act of moving an object is also tangible. As far as benefiting people, there is nothing more powerful than knowing your body is strong and can do things. It sounds silly, but how many times a day do you see someone do something and say, “Oh I could never do that,” or “I wish I could do that.” Go try it! We were made at our core to celebrate life through movement. When there is trauma, when there is a block, everything can go into what feels like lock down. There are many modalities to open back up again physically and emotionally. My path and passion was to discover control, ease, and balance through breathing and lifting very heavy weights. For me, what better therapy is there? There’s no avoiding a 100 lb hunk of iron. No one else is going to lift that weight for you, it’s on you, with coaching support. Part of succeeding is also being willing to fail, and then try again and again. I can meet with someone in a private space. We might just focus on scar tissue that has developed and previous injury relief. We can also deal with the fact that the event or events happened, and maybe we will need to work gently around some issues, yet I instill in my clients that they can still do anything. Another method is not talking too much about the difficulty to perform certain workout tasks and me simply being sensitive to their breathing and their responses to the training. Some people go all out to experience the adrenaline rush and this can sometimes feel like too much. In that situation, a client may feel activated or overwhelmed because the workout rush mimics their heartbeat during a panic attack. I really feel out the situation, notice what they are ready to do and pace accordingly. There is not that much talking which can be a relief for some people, and yet there is a common understanding that previous experiences might pop up that we need to pause and address, but not necessarily. I am able to offer sliding-scale sessions.